Versatile shelving unit with clock feature in the centre. Add a vintage luxe feel to your home decor with this stylish wall shelf. Fantastic design with 4 shelves surrounding a square clock in the centre. 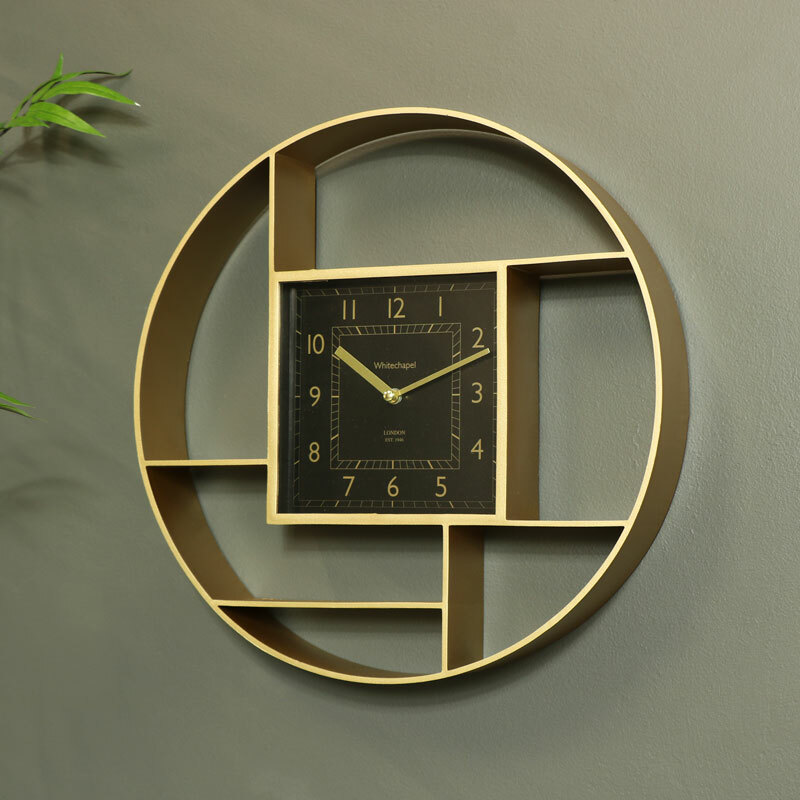 The frame comes in a round design, painted in gold with the black clock face contrasting beautifully. Display ornaments and trinkets on the frames for a unique and stylish look to your interior. Versatile shelving unit with clock feature in the centre. Add a vintage luxe feel to your home decor with this stylish wall shelf. Fantastic design with 4 shelves surrounding a square clock in the centre. 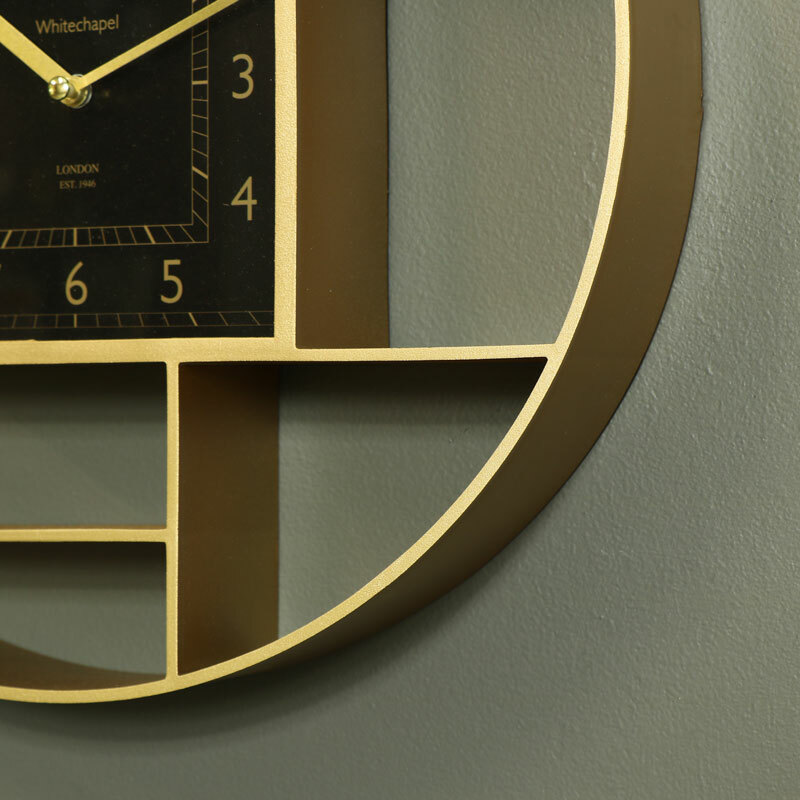 The frame comes in a round design, painted in gold with the black clock face contrasting beautifully. Display ornaments and trinkets on the frames for a unique and stylish look to your interior. Constructed with a round resin frame in a gold finish. The clock features a 12 hour display. Easily wall mounted with a hook on the back for hanging, takes x1 AA battery (not included). We have the best selection of gifts and home accessories for you to choose from. If you're looking for that perfect gift or just a treat for yourself, look no further.